Choosing the February Athlete of the Month was a pretty easy selection. I didn't discuss this one with anyone. Dakota's continuous display of commitment, camaraderie, drive, discipline, poise and competitive spirit do not go unnoticed. His work ethic is something to admire and I appreciate the effort each and every day. Many of you, like myself, don't know a lot about Dakota. 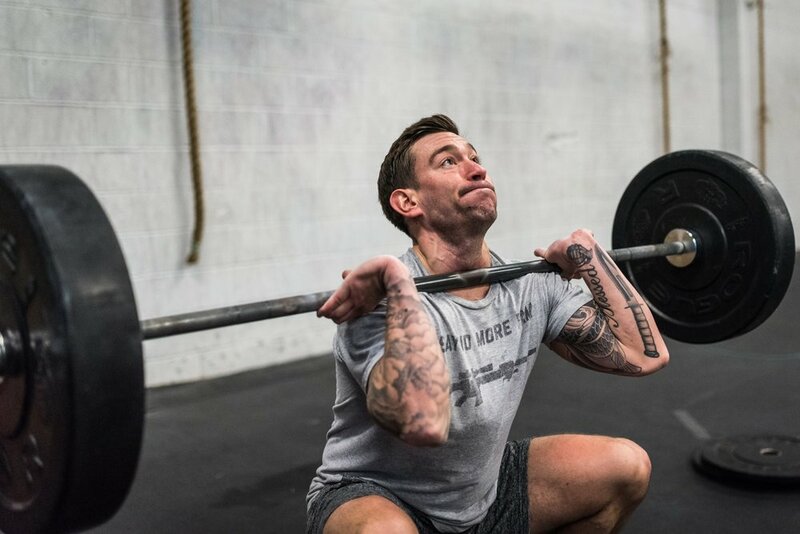 He joined our gym in the summer after leaving another crossfit on long island. He's relatively quiet but a very respectful guy. He has been a police officer for the last three years now. Prior to joining the force, Dakota served in the Marine Corps from 2007-2013. "While stationed down there I did two deployments to the middle east, my first one being in support of Operation Enduring Freedom and the second deployment being in support of the American embassies during the Arab Spring uprising, all being with the 2nd Marine division as a designated marksmen." Thank you ten times over for your service! Dakota grew up in Suffolk County and played high school football and ran track. You can tell he's got an athletic background when running or sprints are programmed. Also, good luck in a push-up contest with him. Another question outside the regular Q&A was why he started CrossFit. He said, "I started CrossFit to change up my workout routine. I was getting pretty bored of regular weightlifting and just doing the same routine in the gym everyday. CrossFit was very big in the military community when I was in and I always wanted to get into it but never really made the time for it. While on deployment we had limited bars and dumbbells that we had with us, so we would always look up CrossFit workouts. They would be simple lifts but I have alway's been interested in the idea of it. 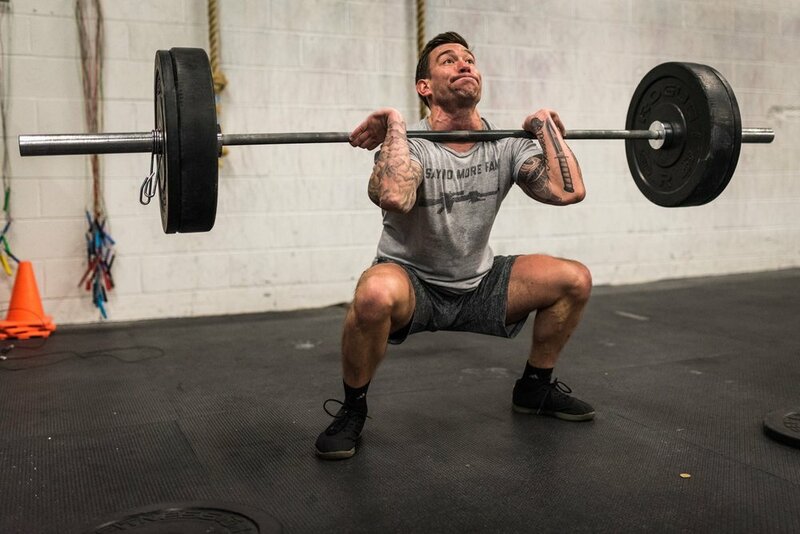 How long have you been a member of CrossFit Island Park? I have been a member of the gym since Summer of 2017. I have been doing CrossFit for a little over a year, more now then ever. My favorite thing about the gym is the consistency it provides with the workouts and coaching. Everyday the coaches and even the members push you to be better. What has been your favorite moment at the gym? My favorite moment at the gym so far is being able to complete a ring muscle up. My favorite cheat food is definitely Taco Bell or buffalo chicken pizza. What would you say to someone who is thinking about joining? Anyone who is thinking about starting I would tell them to just go for it. Even if your doing it just for fitness reasons, it provides you a personal goal everyday to reach and the gym is very accommodating to each individual. A few things drive me to become better. I get excited to see progress each time I go to a class or to an open gym. This is my first year doing the open and I definitely want to do better next year so that has provided me with a lot of drive to train to just see better results. Movements that I thought I could never do like muscle ups or even heavy squats that I have accomplished so it kind of makes you wonder what else you can achieve in a positive way. What is your biggest fitness goal now? My biggest fitness goal right now is to increase my strength in all the Olympic lift movements. This is where I feel like I struggle the most and by next year I would like to be hitting certain weights with squats, cleans, etc. Along with the weight, I would like to become smooth with the technique as well. However I know its going to take time and patience and it makes me want to strive to do better everyday.